Inter X Therapy stimulates the muscle and ligament tissue with low electric pulses in a specific narrow and local area. The treatment method is generally used for pain relief with any sports injuries, sprains and strains. Inter X Therapy excels at accelerating the reconvalescense period and bringing patients back into their normal life, workout or sport habits. However, it is also effective for chronic problems with the joints, like rheumatoid arthritis and osteoarthritis. Other very effective Inter X application are problems arising from lack of movement, specifically office work. 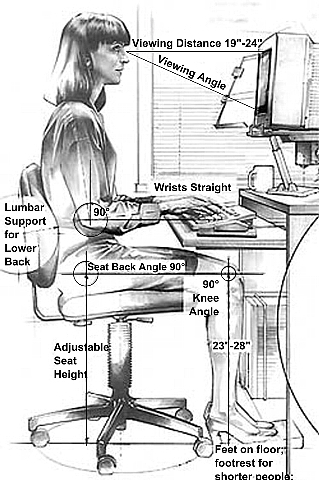 A stiff neck, back pain, headache from tense shoulders, migraine linked to an insufficient work / life balance or pain in the wrists; In general, unavoidable symptoms from suboptimal office ergonomics can be treated with Inter X Therapy successfully. On the first consultation we usualy complete with the patient a questionnaire comprising of a full medical history, main symptoms to be treated, medication being taken and medical diagnosis. The information is use to device a personalised treatment plan. Typically treatment can be 4-8 sessions over a 3 week period for patient’s to experience benefits. Patient feedback is monitored at each session and judged against electrical readings on the Inter X therapy device. Each session is 50 minutes and then usually followed up by advice on rehabilitation exercises. Patients are advised to remain at the clinic for about 5-10 minutes after treatment, in case of any lightheaded-ness. Each session is at a cost of £75. For safety reasons, we do not usually treat (with Inter X therapy) individuals that have: pacemakers or implanted functional devices; are pregnant or breastfeeding; undergoing chemotherapy or have active cancer; a history of epilepsy.